With the Xpress Telescoping Technology™, the Xpress Lounger™ folds down to 1/16th of its size – about the size of a laptop case – which means it can easily be stuffed into a hatchback or trunk. The Xpress Lounger™ can be easily carried with its convenient carry handle and lightweight 9 lbs. The Xpress Lounger includes a side storage pocket, a media pocket and a mesh side beverage holder. Lightweight yet sturdy powder-coated steel supports up to 250 lbs. 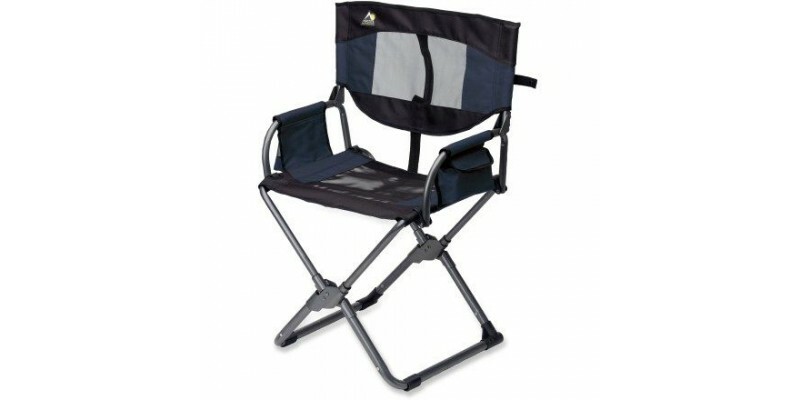 Stay cool and comfortable with 600 denier polyester and breathable nylon mesh seat and seat back. Available in hunter green, midnight blue and gray. Measures 17.5” x 23” x 33” when open and 17.5” x 2.5” x 16.5” when folded. Ideal for camping, RV’ing, fishing, and watching sports.